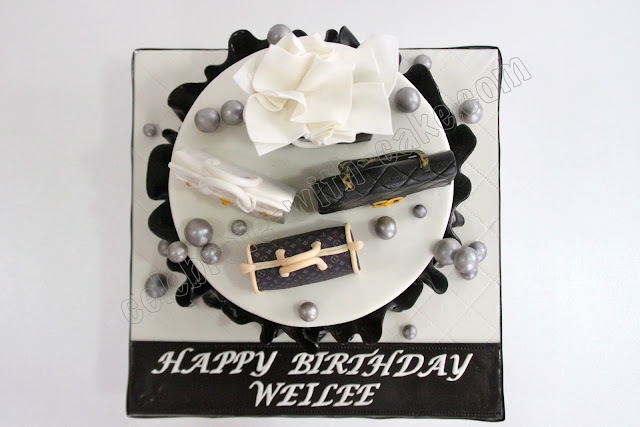 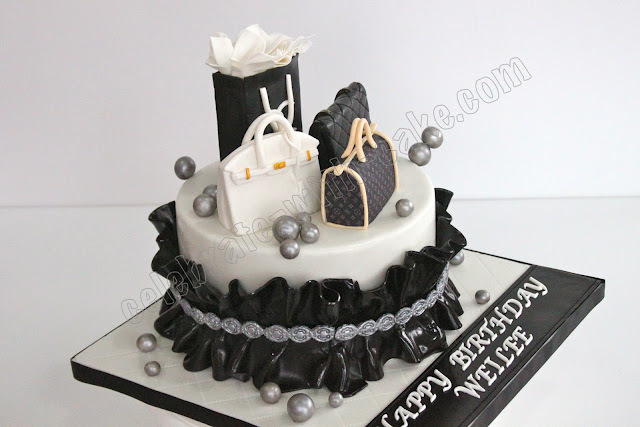 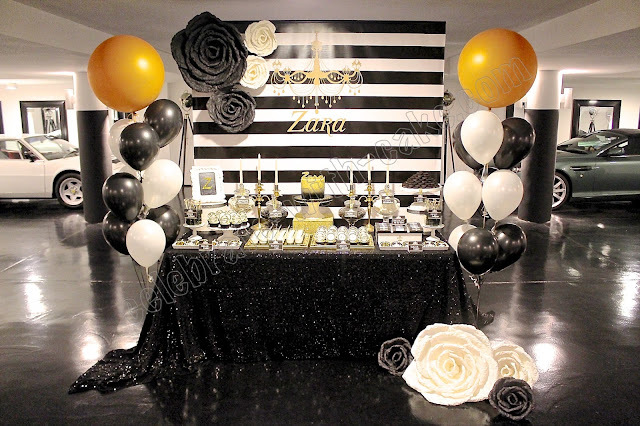 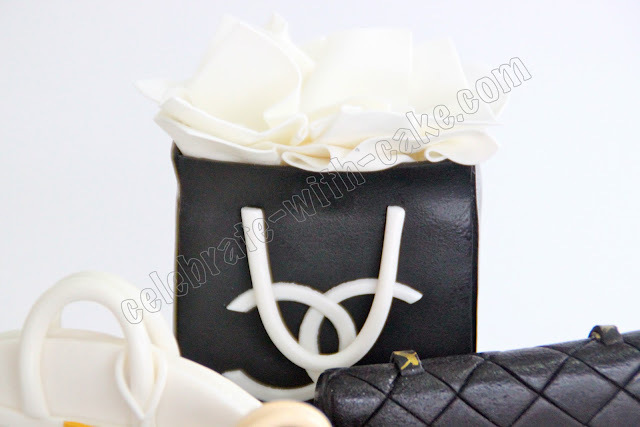 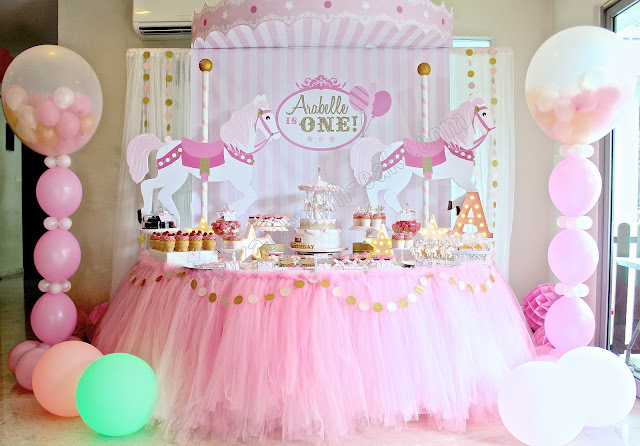 Sweet XY, a repeat orderer got us to make this cake ensemble for a client of hers, who loves her couture stuff. 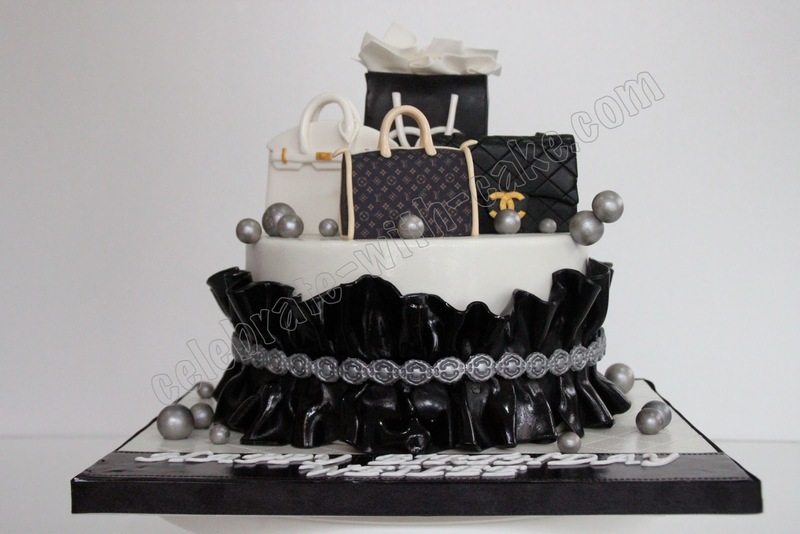 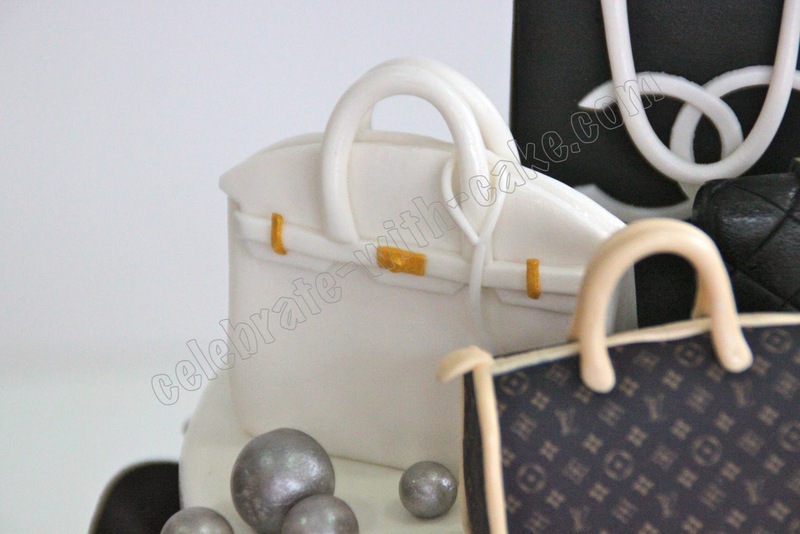 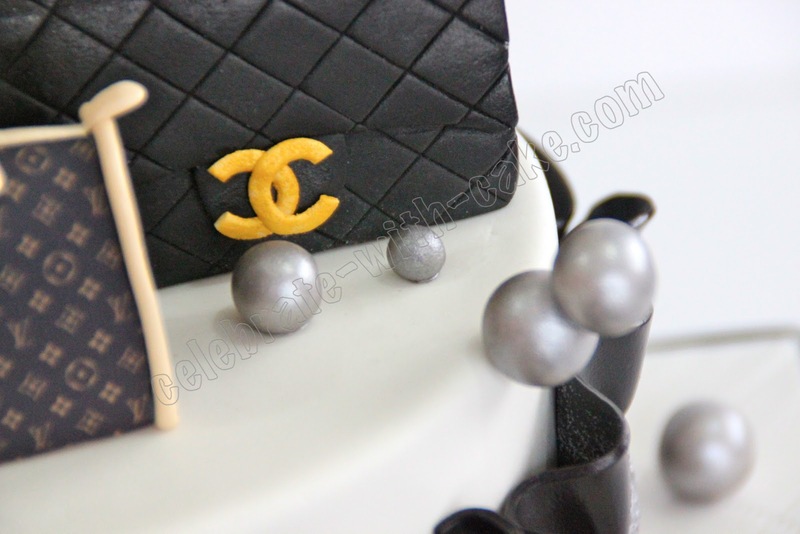 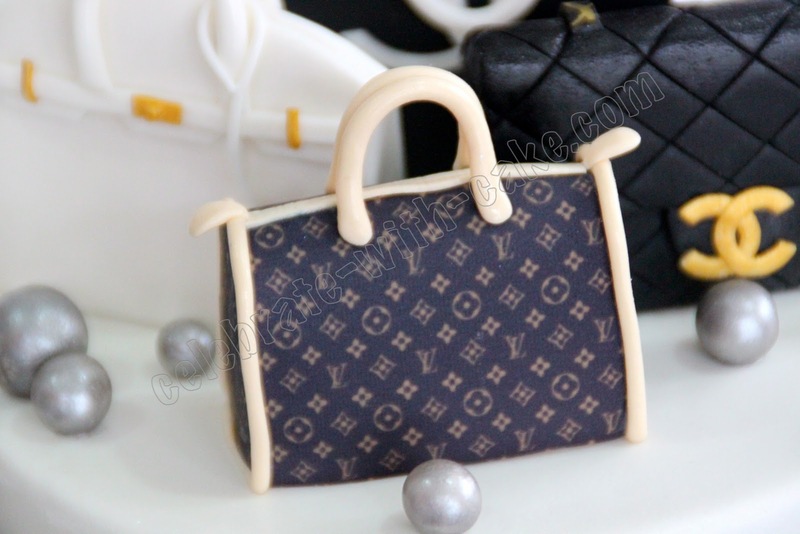 XY liked our previous fashionista themed cake and requested for the same design but with slightly different toppers. 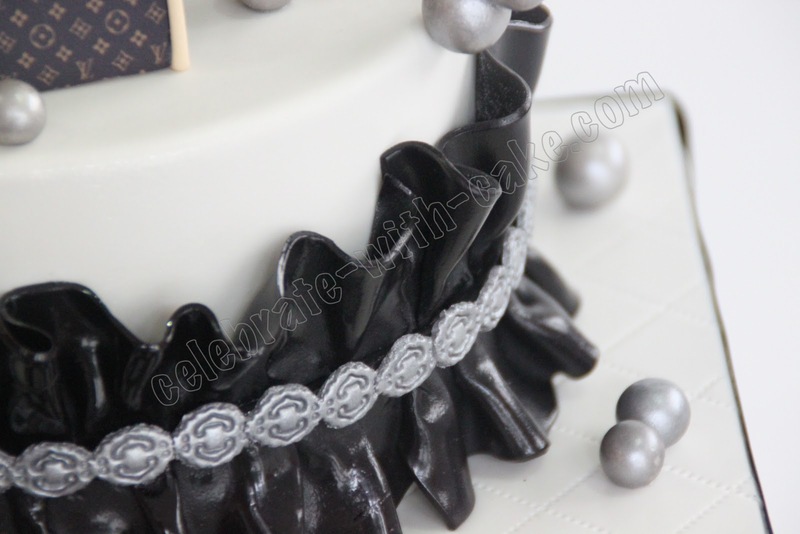 This time i tried to make as many of the toppers in black and white as possible, just to go with the entire themed of the cake.